Unless you’ve been living under a rock, you must have surely come across the news that a picture of an egg beat Kylie Jenner’s post announcing the arrival of her first born, baby Stormi, to become the most-liked Instagram photo. There was nothing extraordinary about the egg. It was just a photo of the egg with the caption asking people to like it so the picture could break Kylie’s record. And internet went crazy double tapping it. 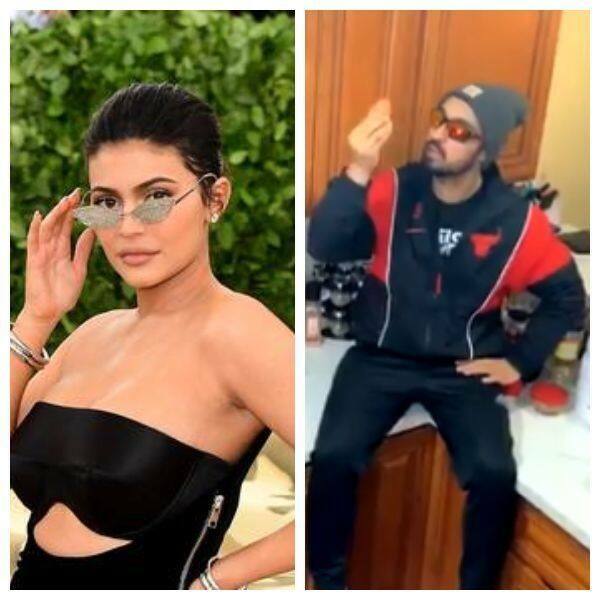 While this experiment led to several face-palms and many jokes online, Kylie’s biggest admirer Diljit Dosanjh was left angry by the egg. It is no secret that Diljit has a huge soft spot for Kylie. After all, he wrote “Do You Know” for the Kardashian-Jenner sister and made sure the world knows it. So, it is obvious that he would react to the egg beating Kylie’s record news. And he reacted in his own style. The Punjabi superstar and Bollywood actor took to social media to share his reaction. Ley Ho Geya Kam Jaan..?? This isn’t the first time that the actor has taken to social media and reacted to incidents involving Kylie. The actor, who leaves comments on her and Kim Kardashian’s posts confessing his love for Kylie, took to Twitter last February and shared his reaction when he learnt that Kylie is now a mother. The singer-actor assured everyone that he was doing just fine. On the work front, the actor has a good year ahead. He will soon be seen in Arjun Patiala followed by Good News.